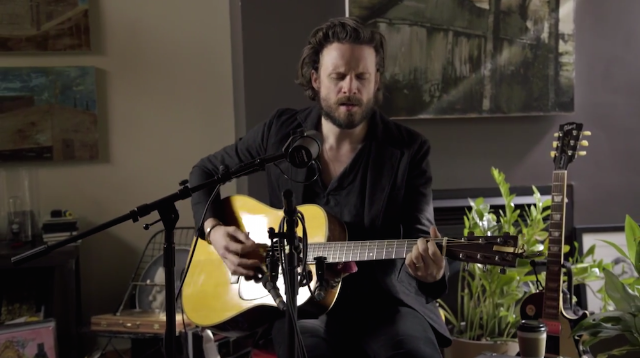 Father John Misty sure knows how to keep the press gears grinding: in the lead-up to and in the immediate aftermath of I Love You, Honeybear’s release, Josh Tillman has stopped by the Spotify offices, WFUV, La Blogothèque, Sirius XMU, and CBC’s Studio Q. Phew. Next up on his press tour was Canadian TV personality George Stroumboulopoulos’s The Strombo Show, where he performed a cover of Leonard Cohen’s “Bird On The Wire.” He’s been doing this cover live for a while now, and now you can hear it for yourself below. I Love You Honeybear is out now via Sub Pop.